1. 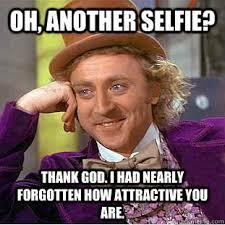 Mr/Ms ‘Selfie’: If you don’t have to face this person at least once during your time at the gym, be grateful. This particular person struts around like a peacock and flexes their muscles (or abs), looking into the mirror as they take a selfie. This post is usually accompanied by hashtags such as #gymlife #workingout. 2. The smelly one: Arguably, the worst of them all, sometimes people just go to the gym and they smell… really bad. Its a big put off so here’s a tip: spray on a little deodarant and make things a little easier for the rest of those who are working out. 3. 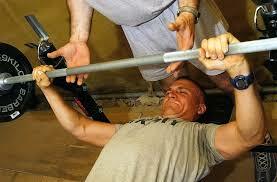 The shouter: Grunting is quite common at the gym when you’re striving to finish a rep or a set. However, excessive grunting is just plain annoying. There is no need to bring attention to yourself. 4. The person who throws down weights: This particular individual is annoying for 3 reasons: they damage the equipment (usually dumbbells), they damage the floor & there is a remote possibility of someone accidentally getting hit by a stray dumbell. 5. The excessive sweater: Its perfectly normal to sweat during a gym session. However, if you are one of those who don’t wipe down after using the machine, learn. 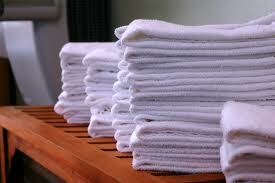 Certain gyms have a policy which requires you to bring a towel. Not only is it disgusting for the next person who uses the equipment, but excessive sweat makes benches and weights more slippery. 6. Being untidy: Depending on what kind of gym you go to, some of them have gym lockers while some may only a bench/hanging rack dedicated to storing a gym bag. Please don’t annoy people by spreading your gear (towels, gloves, water bottle, spare clothes etc) all over. Its a basic thing, but you store your items in a way that it doesn’t bother other gym members. 7. The person who uses their mobile phone: This person is usually quite loud on their cellphone, this ensures that everyone nearby can hear their conversation. To some extent you can get away with a short phone call, but try and minimize your volume so that it doesn’t disturb everyone else’s concentration. Same goes for those who pump up the volume on their phones/mp3 players: if we can hear you, its too loud for you and for us. 8. Mr. ‘I’m using this equipment for the last 20 minutes’ : Certain gym members like to hold on to gym equipment for excessive amounts of time. Usually coupled with no.5, this individual does one set on a say, the barbells, keeps his/her towel on the machine, takes off for 5 minutes and repeats this at process at least 3 times. When the gym is crowded, this is absolutely unacceptable as other individuals will be looking to use the machine. If this is you, be aware & be considerate next time. 9. The one with unnecessary advice: This type of individual acts like a trainer, when in reality he’s just one of the crowd. Unless you are a professional trainer, you shouldn’t mess try and give advice to people if they don’t ask for it. This involves topics such as pre and post workout foods, best exercises for specific muscles and diet tips. 10. The excessive talker: This particular individual uses the gym to socialize. Depending on the person, use a little common sense: Short, one word answers (or the presence of earphones) usually indicates that people are trying to focus on their workout, some other people may like to engage in a conversation as human’s are social beings. If nobody wants to talk, don’t take it personally. Which personality is the worst you’ve come across at the gym? Tell us in the comments and subscribe for more articles!